After spending seven months on a public misinformation campaign including costly province wide townhall meetings against the backdrop of anti-union raiding, the Unifor National Executive Board has been found in violation of our constitution by the Public Review Board (PRB). The Public Review Board is an arms-length body that hears appeals from Unifor members against decisions of the NEB. The first PRB was established by Walter Reuther for the UAW, when unions were under attack from claims they were not democratic. From the outset the NEB denied the constitutional violations, but also took the position that the PRB did not have jurisdiction over the appeal or the ability to reverse their undemocratic decision, asking for our appeal to be dismissed outright. Not only did they seek to derail pubic inquiry into their actions, but several other appeals from locals across our union were denied without satisfactory explanation, seemingly in an attempt to make the calls for democracy appear isolated rather than widespread. 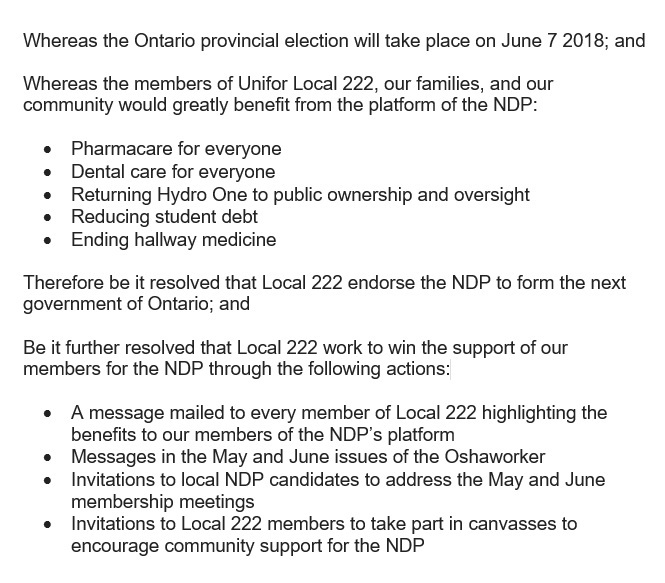 While the PRB stopped short of overturning the decision to leave the CLC, they made it extremely clear that the National did in fact violate our constitution and expressed that hopefully this decision will lead to further discussions about the need for true union democracy within Unifor. In addition, the PRB dismissed the arguments of the NEB as being “unreasonable”. 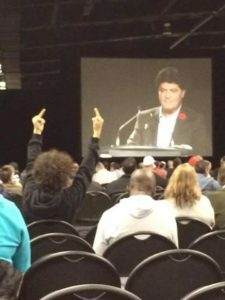 When the CLC disaffiliation was first announced it shook the Canadian labour movement to its very core, sowing seeds of mistrust and division at a crucial time for our movement. 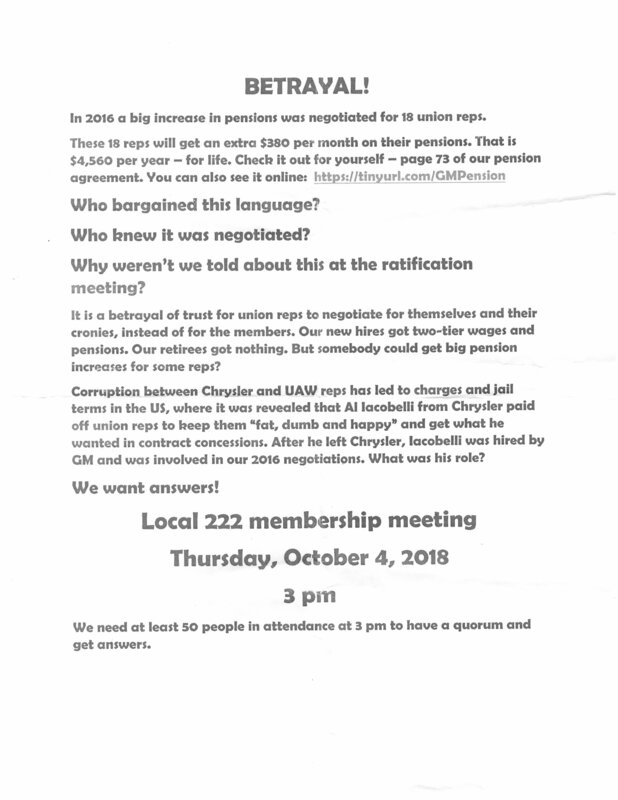 With a degree of arrogance rivaled only by the corporations we are supposed to be fighting against, they made this unconstitutional decision with zero input from the people most affected by this change, the rank and file members of Unifor itself. 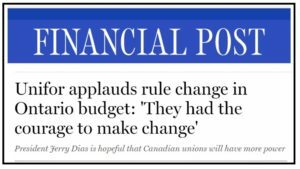 On the eve of Unifor Canadian Council, our delegates have the chance to reverse this horrendous decision, or conversely to support it. After months of misinformation from our leadership surrounding this issue, it is likely that the latter will occur, but the fact remains that the appropriate decision making body will finally and rightfully get to decide the direction of our union, a direction presupposed by an executive board who believe themselves to be above reproach and powerful enough to flatly violate the constitution they swore an oath to uphold. This attitude is truly an enormous shame and does a great disservice to workers across the nation. Apparently Democracy only Matters when we are raiding other unions and need a catchy phrase to justify our grossly divisive actions during a public relations nightmare. What can we expect next from a National Executive Board that is willing to use our own dues to lie to us about the scope and use of the power we allow them to have? Only time will tell, but a few things are certain: we need leaders who respect and uphold our constitution, who remember where they came from and who they represent. We need honest and accountable leadership who embrace constructive criticism rather than leaders with fragile egos who stifle dissent to create the illusion of solidarity where obedience sadly takes precedence. More importantly, we need rank and file members to raise their voices in dissent when the principles of our union are violated. This rank and file driven victory for our members stands as proof that through dedicated grassroots effort we can ensure that those in power are held accountable, whether it be in the workplace or in our own house where these constitutional violations should never occur in the first place. This is the entirety of the PRB Decision (applicant is erroneously stated as our Local 222 Recording Secretary who filed the request on behalf of Local 222). 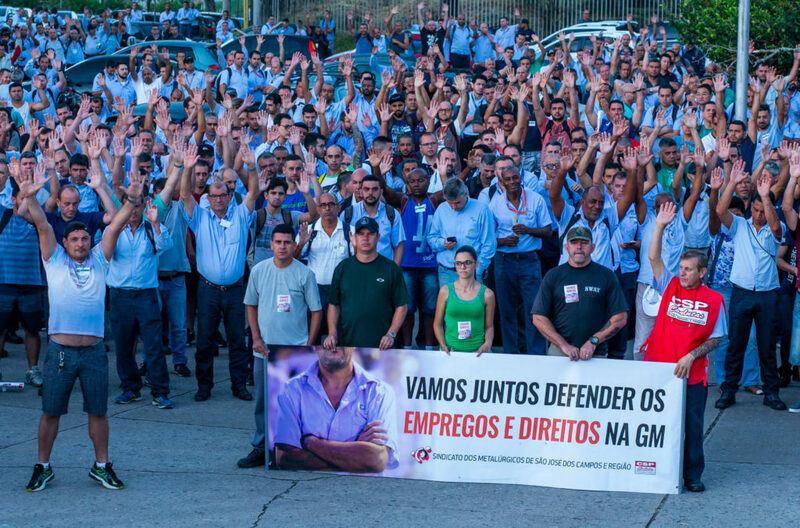 We at Solinet hope that each of you will take the time to read these documents and catch a small glimpse of why grassroots union activism is needed now more than ever. Only when the workers who make up our union have a meaningful and respected voice in our national decision making will our union achieve its enormous potential. Until then we all must demand democracy when it is denied, and if our demands are silenced by those in power we must take democracy without apology. The US federal corruption case against UAW officials and Fiat Chrysler executives continues to widen, and now the organizations themselves, the UAW and Fiat Chrysler, have been labeled co-conspirators. 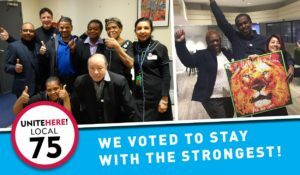 This backs up the original analysis by the Unifor Solidarity Network that “this is not the result of a few corrupt individuals – it is the inevitable consequence of decades of a culture of class collaboration”. Bob King (former UAW President), General Holiefield, Scott Gaberding (Fiat Chrysler), Al Iacobelli (Fiat Chrysler) at the opening of 2011 negotiations. 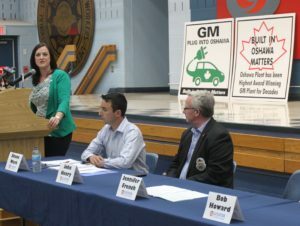 The UAW has been trying desperately to distance themselves from this scandal, by claiming it only involved some rogue officials. Their denials are shown to be self-serving lies by the fact that they allowed those “rogue” officials to retire and collect pensions instead of taking action against them. Now the UAW is named as a co-conspirator. Michael Brown knew that the purpose of the conspiracy to provide prohibited payments to UAW officials was to grease the skids in order to obtain benefits, advantages, and concessions in the negotiation, implementation, and administration of the collective bargaining agreements between FCA and the UAW. Another new detail revealed in the plea agreement is that Fiat Chrysler allowed UAW officials to have friends and family members put on the payroll on sham jobs where they did no work. 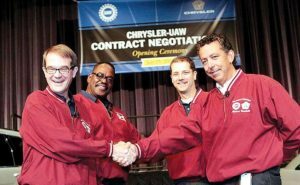 From 2009 through 2015, FCA executives authorized UAW Vice President General Holiefiield, UAW Official UAW-3, and other UAW officials to offer sham employment status at the NTC to a number of their friends, family, and allies … numerous individuals were categorized as being on “special assignment” status to the NTC when, in fact, those individuals did little or no work on behalf of the NTC. One of the UAW officials implicated is former Vice President Norwood Jewell. Jewell was allowed to retire – he announced his surprise retirement in November 2017, and remained on the job until January. NTC funds paid for a party for Jewell in 2014. More than $30,000 was spent throwing a party in August 2014 for former UAW Vice President Norwood Jewell, The News has learned. The party included “ultra premium” liquor, strolling models who lit labor leaders’ cigars and a $3,000 tab for wine in bottles with custom labels that featured Jewell’s name. Details about nepotism within the UAW training centers emerged in 2015 when former Center for Human Resources receptionist Shannan McDonald, unsuccessfully sued the training center. McDonald claimed she was forced to resign after being discriminated against due to a disability. Estrada was deposed in April 2016. “Ms. Estrada, do you have a daughter or step-daughter named Tara?” McDonald’s lawyer Jeffrey Burg asked during the deposition. “What is she to you?” the lawyer asked. “She’s my step-daughter,” Estrada said. “And is Tara White working for (the training center) now?” the lawyer said. “Yes, she is,” Estrada said. “Is she working the receptionist job that Shannan had occupied before Shannan left?” the lawyer asked. After Iacobelli left Fiat Chrysler, he was hired by GM and was put in charge of the 2016 negotiations with Unifor in Canada. Was there similar collusion here? Jerry has so far refused to say if that possibility was investigated. 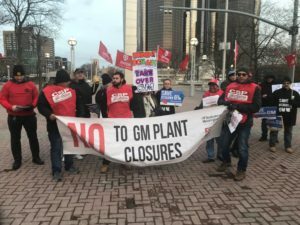 What is not in doubt, is that the 2016 pattern agreement with GM of Canada was the most unpopular in the union’s history, with two-tier wages and the elimination of defined benefit pensions for new hires. 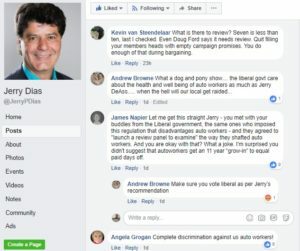 Al Iacobelli is not the only corporate fat cat that Jerry Dias has a soft spot for. When Steve Carlisle left his position as President of GM of Canada, Jerry had only praise for him, including saying he considered him an “ally”! “For me, it was imperative, during the 2016 contract negotiations, to have someone who I believed was an ally and who was looking for a solution,” Dias said in a telephone interview. 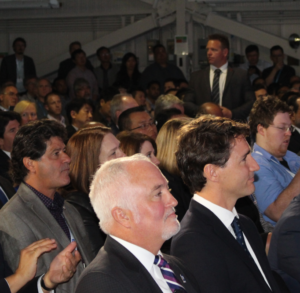 In 2016, at a General Motors photo op announcement in Oshawa attended by Justin Trudeau and Kathleen Wynne, Jerry refused to sit with members of the union local (Unifor Local 222) because he wanted to be as close as possible to Steve Carlisle and Trudeau (see picture). 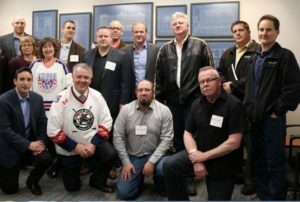 Does Unifor also have a “Center for Hidden Relatives”? 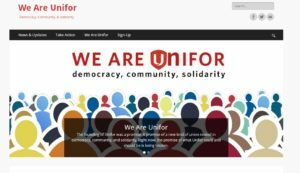 Whether they practice nepotism or not, it is clear the top Unifor leadership has travelled too far down the road of “team concept” and class collaboration. Auto workers won’t be able to make progress until that losing strategy is discarded. 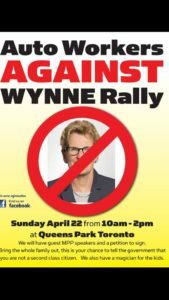 The Auto Workers Against Wynne held a ground-breaking rally at Queen’s Park last Sunday. 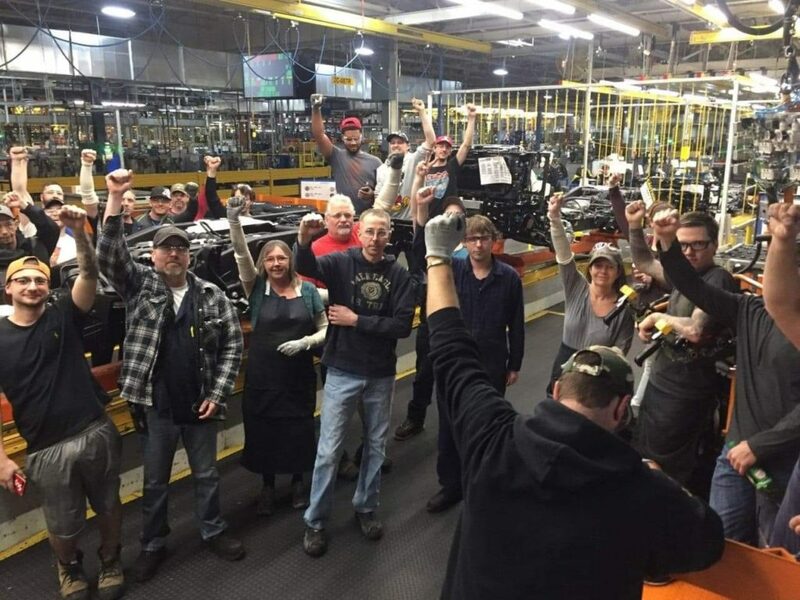 A group of non-union workers from the Toyota plant showed more initiative, more organizing smarts, and more willingness to take on the Liberal government than the leadership of Unifor. One of the leaders of the rally, Doug Penner, was interviewed on the Taylor Report (89.5 fm) Monday, April 23, 2018. The governing Liberals did some backroom calculating and decided they could get away with excluding autoworkers from legislation providing 10 days emergency leave for Ontario workers. 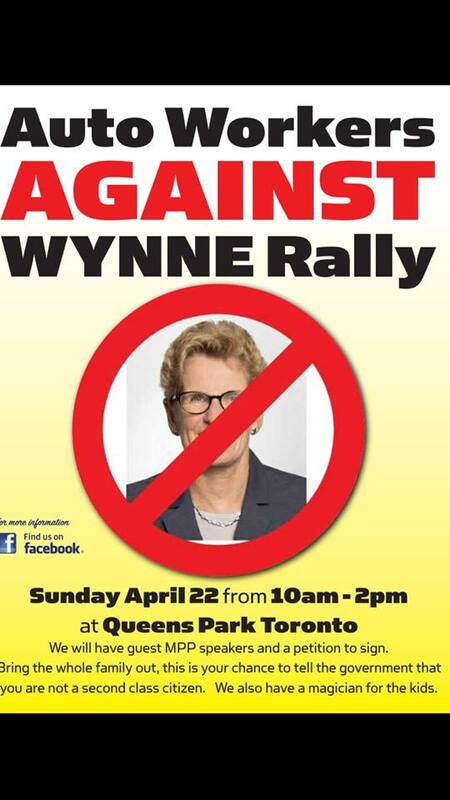 Premier Wynne found out fast that autoworkers at Toyota are wide awake and they do not sit back. They rallied at Queen’s Park and NDP leaders were quick to bring support. 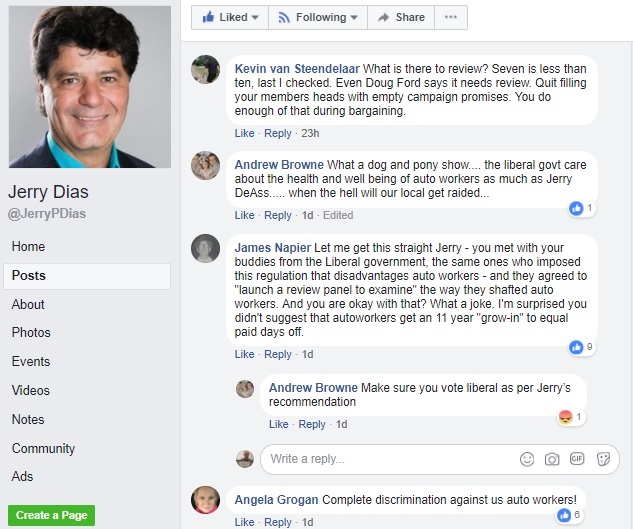 Unifor President Jerry Dias, a Liberal Party friend, was absent.